Are you a Midwifery student? 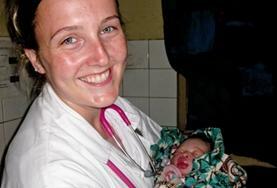 Discover more about Midwifery practice in a developing country on one of our Elective placements abroad! Gain work experience while learning from skilled professionals in a completely different environment. Approaches to midwifery in your host country may differ significantly to what you are used to at home. Furthermore, you may find yourself coming into contact with pregnant women suffering from complications such as malaria and typhoid, which is rarely seen in western hospitals. Many placements will not have the up-to-date equipment that you are used to. However, staff are highly dedicated and caring, working hard to ensure that the women are supported as best they can though birth, and that their babies are well cared for. 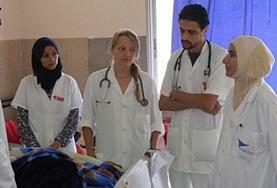 Midwifery Elective volunteers will work alongside local medical staff, shadowing them and assisting where necessary. You will be placed in a hospital or clinic that has a specialist maternity unit, or in a specialist maternity hospital. The amount and type of work you will do depends on your experience and willingness to get involved. Regardless of your specific role, you will learn a great deal about many different pregnancy-related conditions and treatments. Although not always directly related to Midwifery, you can also take part in the medical outreach work and workshops that are organised by Projects Abroad. If you are not an Elective student or would rather take part in our standard Midwifery projects, please see our Midwifery Projects page. Ghana A Midwifery Elective placement is perfect for any student wanting to witness alternative approaches to the practice. Hospitals in Ghana provide a great backdrop for learning. Morocco Morocco is an exciting country to live and work in. If you are looking to take your Midwifery Elective in a completely new setting then this may be the ideal destination for you. Sri Lanka Undertaking a Midwifery Elective in Sri Lanka will provide you with a valuable learning experience. It is likely you will witness different practices to those you are used to. Tanzania Taking a Midwifery Elective placement in Tanzania means that you will benefit from the guidance of local staff whilst providing invaluable support to mothers and babies. Togo Dedicated professional staff in Togo will be keen to pass on their knowledge to students on a Midwifery Elective placement. Facilities in the hospital may be more basic than in your home country.